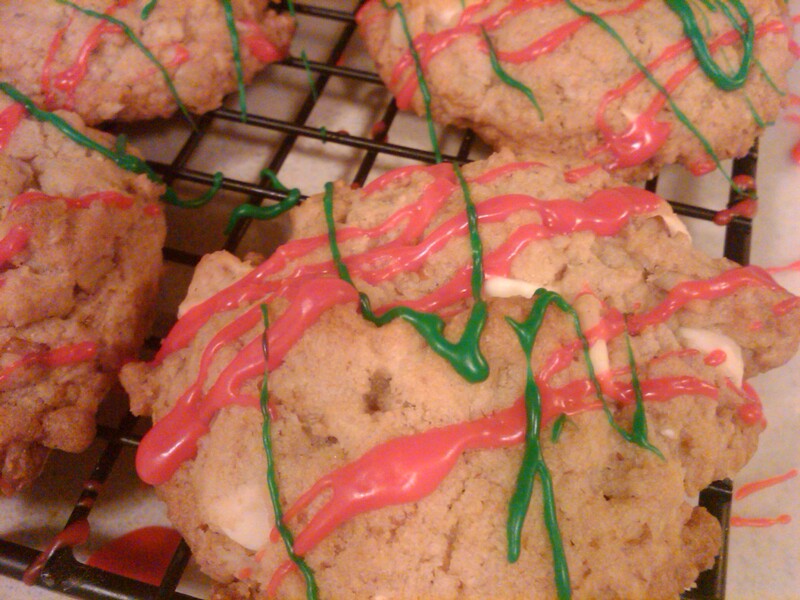 Holiday Edition: Cookies And Candy And Chex Mix, Oh My! In a last ditch effort to make sure everyone around me doesn’t eat healthy and gains the requisite 80% of the weight they’ll gain throughout the year, I decided to buckle down and make some Christmas goodies. First, I made oatmeal cookies with white chocolate and pecans for a cookie party at work. Second, I made up a batch of cinnamon candy. It’s the easiest Christmas gift to make, and people love the hell out of it. Finally, and mostly for my benefit, I made hot and spicy Chex mix to take to family Christmas. Disaster would ensue. Food is the reason for the season!